The new Performance HDMI cables are our most flexible yet. HDMI cable to improve its flexibility, yet maintain its capability to transmit 4K60 video. QED always connected the Audio Return Channel (ARC) even before it was a requirement of the HDMI organisation and since the introduction of the HDMI 1.4 Specification in 2009, we have focused only on manufacturing the highest standard ‘High Speed with Ethernet ‘cables. This policy has enabled us to immediately support the new HDMI 2.0 standard introduced a few years ago and certify our cables for 4K60 use. With the introduction of the HDMI 2.0 standard in September 2013 the maximum data rate of the HDMI link increased from 10.2Gb/s to 18Gb/s. This was to accommodate the new uncompressed 4K 60Hz video standard (termed 4K60 4:4:4) which required a data rate of 16.06 Gb/s. In order to achieve this, the source and display equipment at each end of the cable have also to be 2.0 compliant. However the cabling physical layer remained unchanged and this is still the case for version 2.0b introduced in March 2016. High Dynamic Range (HDR) support was also introduced with HDMI version 2.0. With HDR equipment there is a greater contrast ratio and more brightness steps to give a smother picture and more detail in both bright and shadowy areas. A related technology usually associated with HDR is Wide Color Gamut (WCG), which offers an expanded colour palette. 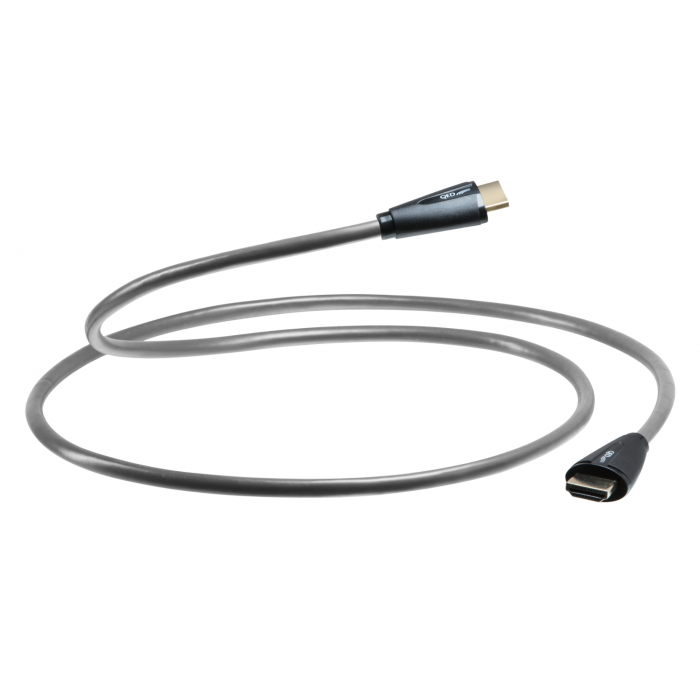 The new cable range has been designed to be as thin and flexible as possible. Gone are the days of large bulky HDMI cables and the new Performance range is characterized by a sleek black livery with a maximum diameter of just 6 mm to ensure that it is suitable for use with the slimmest TVs. In reducing the cable diameter we have not compromised on the purity of the conductors we use, which are still made from 99.999% Oxygen Free Copper. The new range comes in lengths 1.5m, 3.0m and 5.0m. Recently, the HDMI.org has introduced a new Premium Cable Certification Program. This is not a new cable category and is in addition to the 2.0b specification which has not changed. Premium Certification offers a difficult to counterfeit guarantee label which promises the consumer a minimum standard of performance. In order to continue to provide our customers with a range of cables in which they can have the utmost confidence we are offering Premium Certification on the two most popular length cables – 1.5m and 3.0m. This is of course in addition to our usual QED Lifetime Guarantee. Consumers can scan the unique QR code on the Premium sticker to verify that the cable in their hand is a genuine QED cable, certified to full Premium High Speed 2.0b compliance including support for UHD 4K60, HDR and HDCP 2.2 content protection. Like other electronic products QED active cables come with a one year QED Guarantee. Consumers can extend the guarantee period to two years by visiting www.qed.co.uk and registering the product at the time of purchase. Clearly labelled plugs to ensure correct installation. Applies to any HDMI cable that has been tested at an authorised test centre and has been found to pass the eye mask test at a combined data rate of 10.2Gb/s 340Mhz pixel clock. The cable must also have passed testing of the CEC and DDC connectivity and be compliant with HDMI Ethernet and Audio Return Channel test procedure. With the introduction of the HDMI 2.0 standard in 2013 the maximum data rate of the HDMI link increased from 10.2Gb/s to 18Gb/s. This was to accommodate the new uncompressed 4K 60Hz video standard (termed 4K60 4:4:4). HDMI version 2.0b, launched in 2016, introduced High Dynamic Range (HDR) support for equipment offering greater contrast ratio and more brightness steps for a smoother picture with more detail in both bright and shadowy areas. A related technology usually associated with HDR is Wide Colour Gamut (WCG), which offers an expanded colour palette. Both technologies are supported by the new QED Performance Active HDMI cables.